There are still four amazing home sites remaining in Loveland's Redbird Meadows. Nearly all properties are over an acre. Enjoy the privacy and exclusivity of this quiet culdesac community -- mere minutes from the bustling downtown area of Loveland, Ohio. Scroll down to learn more about building in Redbird Meadows. 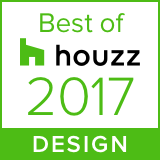 We also invite you to explore some of our award-winning home designs or schedule an appointment to begin customizing your perfect home today. 4bd – 3.5ba / 3088–3148 sqft. 5bd – 4.5ba / 3357–3400 sqft.